Age: Not Applicable Old Version was aged 3 Years in Oak. Guessing this is not the case. Notes: Originally sold in 1846 in one of the many attempts to get French Foreign Legion Soldiers (or any other soldiers) to drink their medicine, in this case, quinine – for malaria and sundry other fevers – and as many others have the result entered the mainstream society long after the original purpose (other attempts include grog, absinthe, gin and tonics, and a host of Italian Amaros). Dubonnet in Europe ( and yes, the UK too) is made by Pernod Ricard and uses a proprietary secret recipe, Dubonnet in the USA is made by Heaven Hill which is not part of Pernod Ricard but has the rights to make and distribute here. A similar situation to the Havana Club rum and Gruet Champagne dualities as it were but in this case a better outcome. Dubonnet has been reimagined by Lynette House and some of the taste wizards at Heaven Hill to something much closer to the European model but interestingly different and tailored towards mixologists and Aperitif enthusiasts over here. The grapes have been replaced, the corn syrup is gone, and the quinine quotient has been enhanced. Also added are black currants ( as in Cassis) and black tea to the mix. First Impression: Plummy, jammy, currants/cassis with young (ruby) port-like notes, notes with a chinchona dusty leather tang and black tea notes. Sweet with slightly foxy undercurrent a touch like a marsala. Taste: Very much want the nose was promised, much structured with more currant fruit forward with a cleaner, less muddy taste than the old version. Tea and more pronounced ( but not excessively so ) chinchona bump add some nice structure and bones of a flavor skeleton from which the grape and cassis notes can hang without getting flabby. 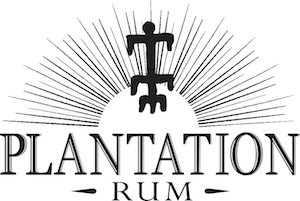 Also, the use of real cane sugar ( formerly corn syrup) tightens the structure and trims down the mouthfeel to a slightly leaner and more pronounced structure. Drinks: A Dubonnet cocktail using this version is far more drinkable than the previous one. It can also be used in place of a vermouth such as Carpano Antica or Punt e Mes for a ( rather) sweet Manhattan or similar application. 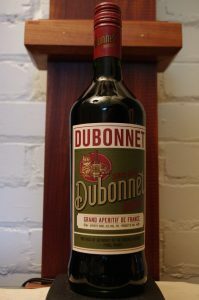 Dubonnet Rouge is also a much closer analog of the European version for use in classic cocktails ( before the branching/deviation of the former versions from their French roots. And of course, you can enjoy it as an aperitif in and of itself or maybe with some soda water or a touch of you favorite bitters too for more ( and customized) complexity. A nicely refreshing and fairly lightweight cocktail or cocktail ingredient. Bottle: Much more traditional and old-school European chromolithograph type label ( the former one was 1990’s mod style) which harks back to the much older labels – including the iconic family cat. While it does not have the same printing quality, the overall effect is a traditional quality type of product and a reconnection to its original roots. Other: Dubonnet is an aromatized wine, and as such it will spoil. Buy a 375 ml (1/2 bottle) unless you use it a lot. Refrigerate after opening and get a new bottle after 2 months or so- you and your guests will appreciate the difference! Final Thoughts: Very much a step in the right direction – back towards its original roots as it were with some interesting and intriguing nuances. 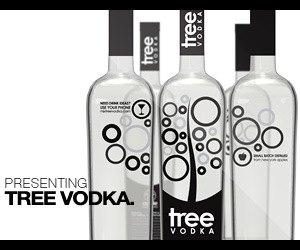 has been redone to reflect new product and packaging. Some information and recipes. Easy to navigate. Some sort of community (Instagram? twitter? ) page but no instructions as to joining it.